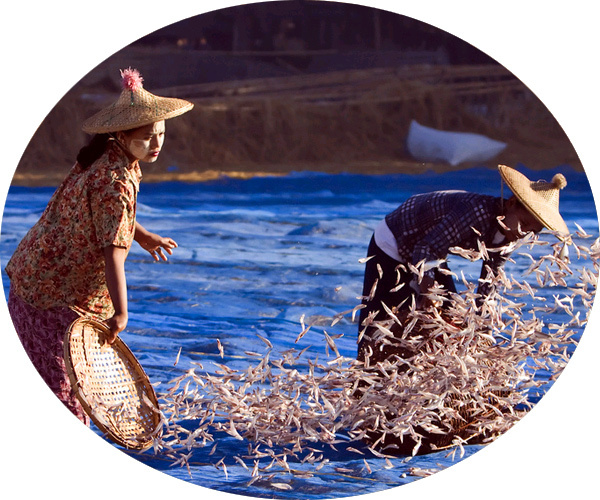 This is another unusual type of reed hats adorning the heads of millions of residents in Southeast Asia. 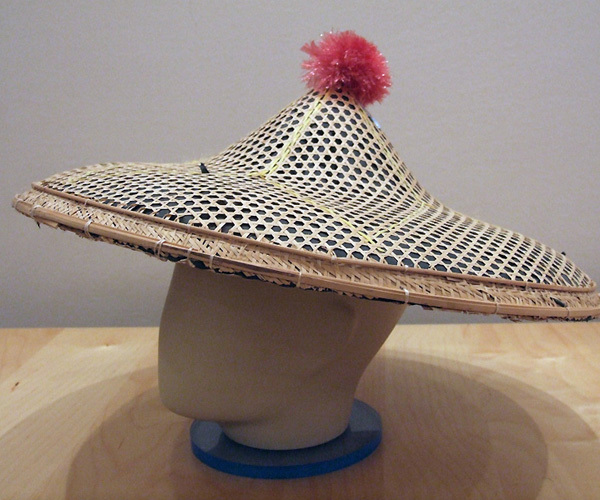 They make such hats in the province of Arakan of western Burma, where it was bought from a fruit vendor near the town of Thandwe. The hat made from the stems of the coastal cane has a bottom layer of thick waterproof cloth, and a synthetic pompon on top is, of course, for beauty.